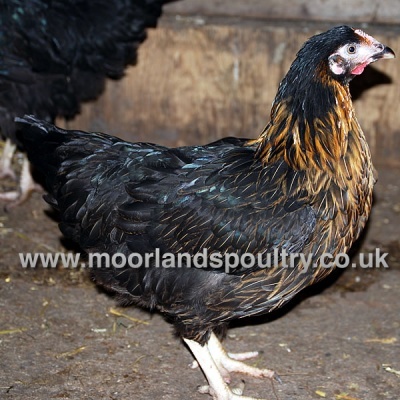 Bovans Nera, the superb free range egg layer from Holland, has proved that she is certainly the leader in the pack of the black birds. Her egg shell quality is superb, laying 290 + brown eggs per year. Being extremely hardy, she is the perfect free range bird, withstanding all conditions. Extremely hardy - outdoors in all weather and very disease resistant. A good 2nd year bird.